UPDATE November 17, 2018: Isak Heartstone was taken down on Thursday, November 15. I am extremely saddened by this news. Read more in the Summit Daily. The artist, Dambo, might strike a deal to rebuild the troll (read the story here). 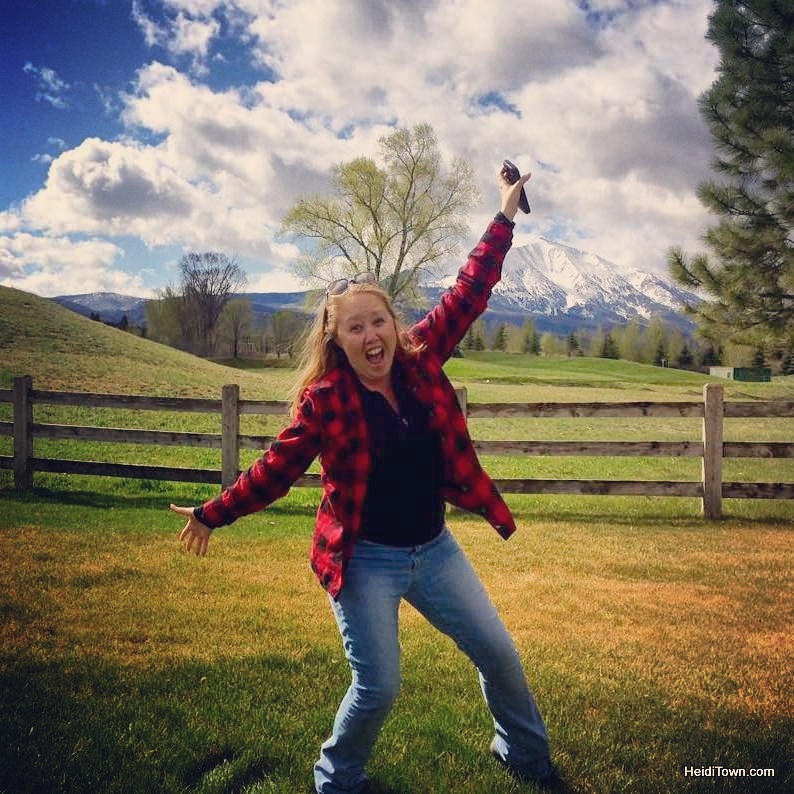 I am crossing my fingers that the troll stays in Colorado. I will update this again when/if the story changes. 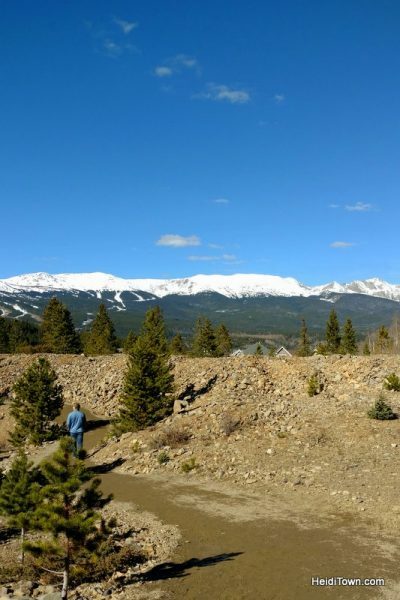 Unless you’ve been living under a bridge, you’ve probably heard about the Breckenridge Troll named Isak Heartstone. It wasn’t the intent for this darling troll to become controversial, but this big guy is both loved by the multitudes and hated by a few. 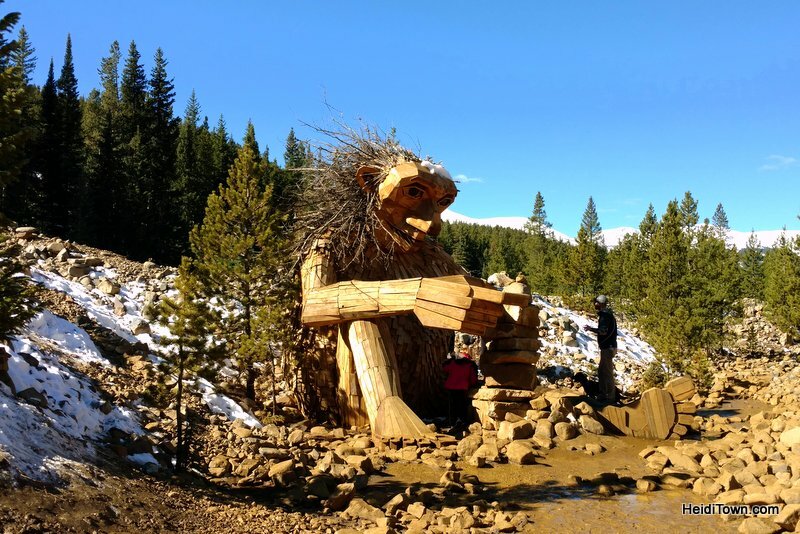 In August, the troll was installed along a Wellington Trail in the East Wellington Neighborhood outside of downtown Breckenridge as part of the Breckenridge International Festival of Arts. Isak is 30 feet tall and made of reclaimed lumber. The Danish artist Thomas Dambo has creates sculptures are around the world. Follow Instagram for photos of his work. Originally constructed for the festival, it’s my understanding that the decision was made to leave Isaak where he is until he deteriorates in about two years. Fast forward to today, a little more than two months later, and a few of the neighbors are fed up. 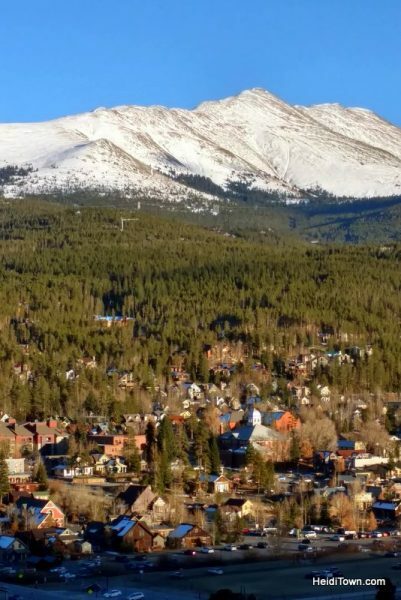 Right over this berm is the Wellington Neighborhood in Breckenridge. I’ve visited Isak earlier this fall, parking in the small trailhead lot near the neighborhood. I have read that this parking lot is now closed and visitors have to take the bus. It was muddy and icy and it was recommended to us by fellow troll seekers to go around instead of taking the slippery trail. I wasn’t aware of the controversy surrounding the troll until the day I visited. I had gone online for directions and found several articles citing neighborhood complaints. On the day we visited, a Sunday, I could see why some people who live in the area are annoyed. We walked on the median of roads around the neighborhood until we found the bus stop for the troll. Yes, Isak has his own bus stop. We walked the short distance from the bus stop to Isak and low and beyond, there was the Breckenridge Troll. Isak Heartstone is awesome and it was a delight watching people engage with this huge work of art. A smile was on every face as visitors stood and gazed upon the wooden sculpture with awe. 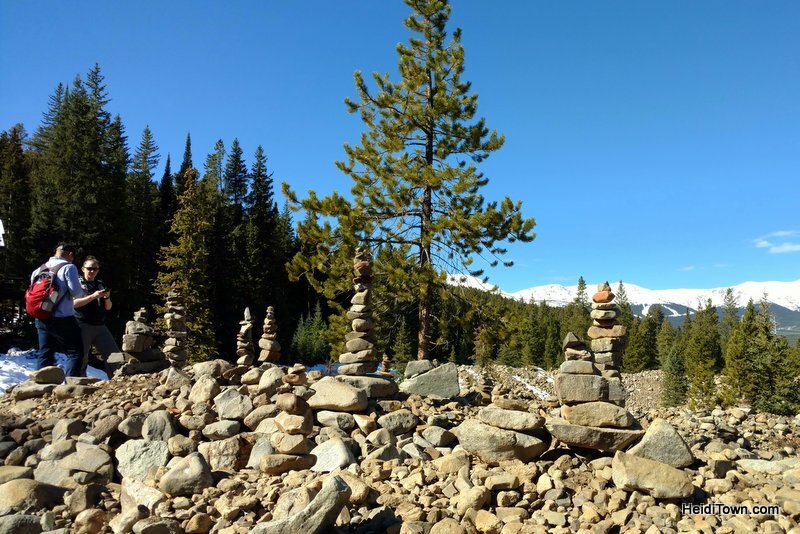 Cairns, or balanced rock piles, are everywhere around Isaak including on the rocky hill behind him. Now let’s consider the neighbors. I can understand why their upset. The troll has meant an unusual number of cars and people in the area. People get lost, park illegally and they leave trash around. However, Isak Heartstone is an amazing public art display. The interaction of the public with this playful piece of lumber shaped like a troll is truly enchanting. In recent days, the town council voted to keep the troll and revisited the issue in the spring. See full article about the decision here in the Summit Daily. 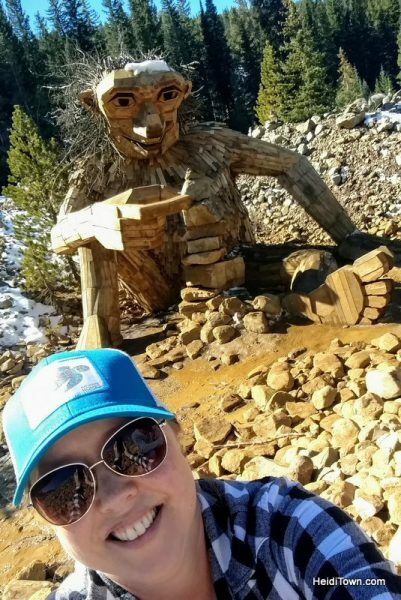 Like many of the other tourists, I took a selfie with the troll. Some area residents aren’t happy with the decision but that’s what is happening. Isak Heartstone is a cool troll and if you’d like to see him in person follow the Golden Rule: Do unto others as you would have done unto you. In other words, be respectful and leave no trace. Here are the Rules from Breckenridge Tourism regarding visiting Isak Heartstone the Breckenridge Troll. Please follow these rules so that Isaak may continue to enchant visitors from far and wide. First and foremost, take the bus.